When you’re in the market for a new car, traveling all over town or sitting at a computer screen can put a damper on what should be an exciting experience. That’s where the annual Albany Auto Show comes in! 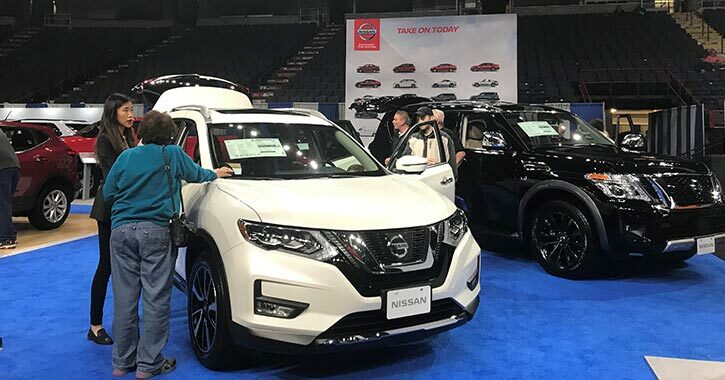 From November 2nd through the 4th, a massive array of new vehicles will be grouped together in one convenient location at the Times Union Center, giving visitors a chance to walk around, feel, sit in, and fall in love with their next dream car. 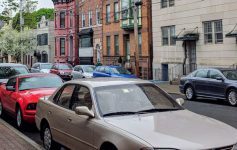 Even if you’re not planning to purchase a new car for a few months or even a year, the Albany Auto Show is still a can’t-miss event. Why? It’s a prime opportunity for car enthusiasts and future buyers to examine and compare the most recent makes and models of various vehicles. You’ll be able to see a wide variety of cars, trucks, vans, and more all in one indoor location. Not only that, but you can meet and connect with representatives from local dealerships and product specialists, which will help later when you’re looking to buy from someone you trust. Auto Show attendees can take the time to get a feel for the vehicles, ask questions without any pressure to buy, and pick up business cards. You’re sure to leave feeling much more confident about purchasing a new car when you’re ready. 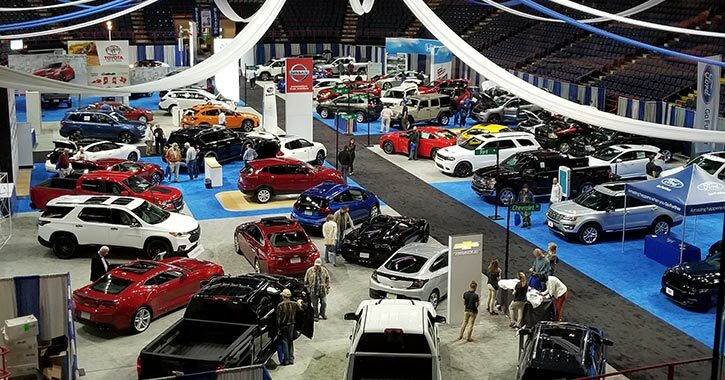 Recognized as the largest vehicle display and consumer show between Montreal and New York City, and between Syracuse and Hartford, the 2018 Albany Auto Show has all you’re looking for. 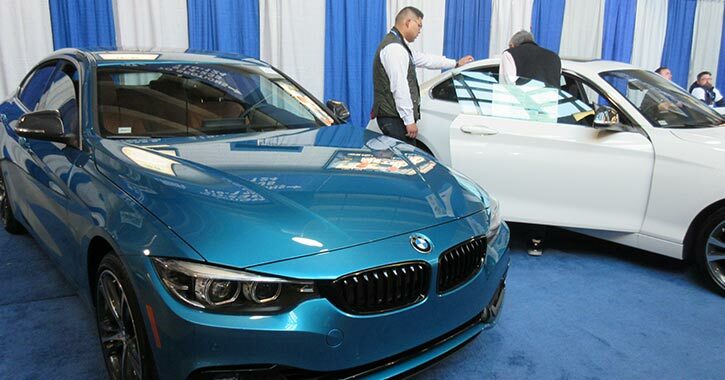 Over 150 new vehicles from 30+ manufacturers will be showcased at the Times Union Center, including cars, trucks, minivans, sport-utilities, luxury, utility & alternative fuel vehicles, and specialty & concept cars. 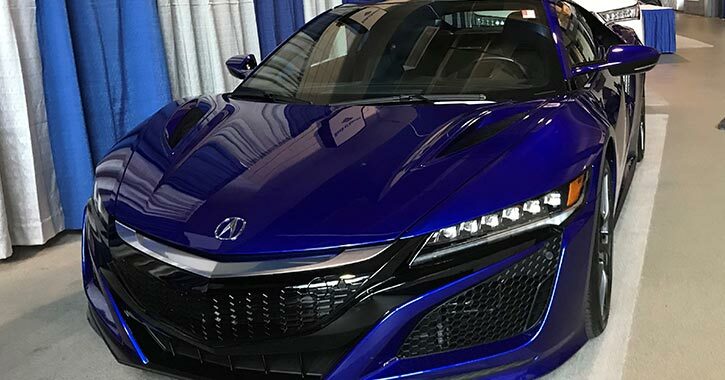 As you tour the Auto Show during your visit, you’ll find tons of top manufacturers featured, as well as exhibitor booths offering both auto-related products and services. On-site representatives will be ready to answer any questions you have about how their business can help you. Acura, Alfa Romeo, Audi, BMW, Buick, Cadillac, Chevrolet, Chrysler/Jeep, Dodge/Ram, Fiat, Ford, Genesis, GMC, Honda, Hyundai, Infiniti, Jaguar, Kia, Land Rover, Lexus, Maserati, Mazda, Mitsubishi, Nissan, Porsche, Subaru, Toyota, Volkswagen, and Volvo. Bath Fitter, Click Heat, Explorer Vans, LeafFilter Gutter Protection, Heavy Hauler Trailers and Truck Accessories, HVCC Automotive Department, Manufacturing Technology Pathways, Mobility Works, NYSERDA, Saratoga Autmobile Museum, and SunCommon. 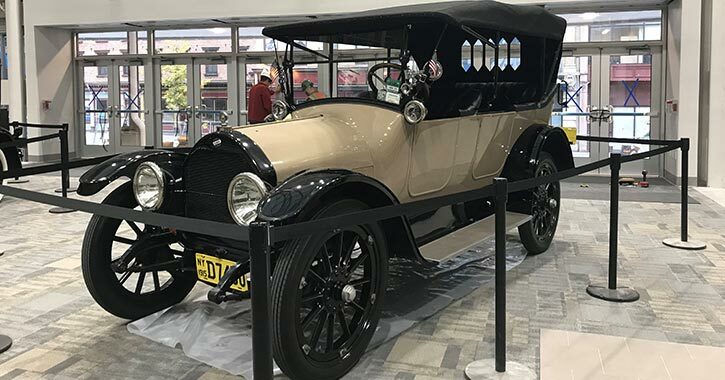 While the new vehicles are the main attraction of the Albany Auto Show, there will be plenty of other special events for people to enjoy all weekend long. On the first floor of the Atrium at the Times Union Center, the Saratoga Automobile Museum will present a display of classic cars throughout the entire weekend. Get a close look at these older vehicles and see how they influenced the modern ones at the Auto Show. Crowd favorite Mr. Twisty will be strolling around the arena and entertaining the younger kids on Saturday and Sunday. During all three days, Caricatures in cars by Mark will offer complimentary caricatures of you in your favorite new vehicle at the show. Did you know The Northeast Ski & Craft Beer Showcase will be going on November 2nd through the 4th? 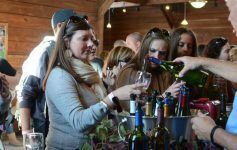 Hosted next door at the Albany Capital Center, this premier autumn event will feature exclusive deals on winter gear and equipment and a fantastic Craft Beer & Wine Garden. 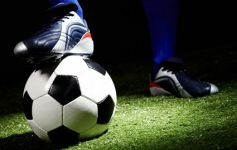 The event is easily accessible from the Times Union Center through an enclosed walkway. Thanks to a partnership between the two events, each will provide attendees with $2 discount coupons to use toward admission at the other show. This means you’ll be able to experience both the Albany Auto Show and The Northeast Ski & Craft Beer Showcase for less! Free parking will be available for attendees in the Times Union Center Parking Garage, which is right behind the Arena. Visitors can access the Parking Garage from Beaver Street and Market Street. Are you ready to see all the new vehicles on display at the Albany Auto Show and discover your dream car? Mark your calendar for November 2nd-4th and prepare to be amazed!